If you’re not sure what it means, then the Disability Confident Scheme, launched in November 2016, aims to help employers make the most of the opportunities provided by employing disabled people, by providing those employers with the skills, examples and confidence they need to recruit, retain and develop disabled employees. It is a voluntary scheme and has been developed by employers and disabled people’s representatives. 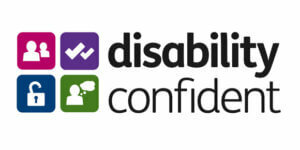 Over 5,000 UK employers are now Disability Confident, including many FTSE 100 companies such as Marks & Spencer, BT and Royal Mail. To find out more, with guidance, advice and to download a list of organisations already benefiting from the scheme, visit the Government website here. © Copyright 2019 Pa Pool Ltd.